This is a land of bungalows so elegant and trees so grand that each appears to be a republic of its own. A peaceful, hushed world; the traffic is always scarce, and the only sounds are that of birds. 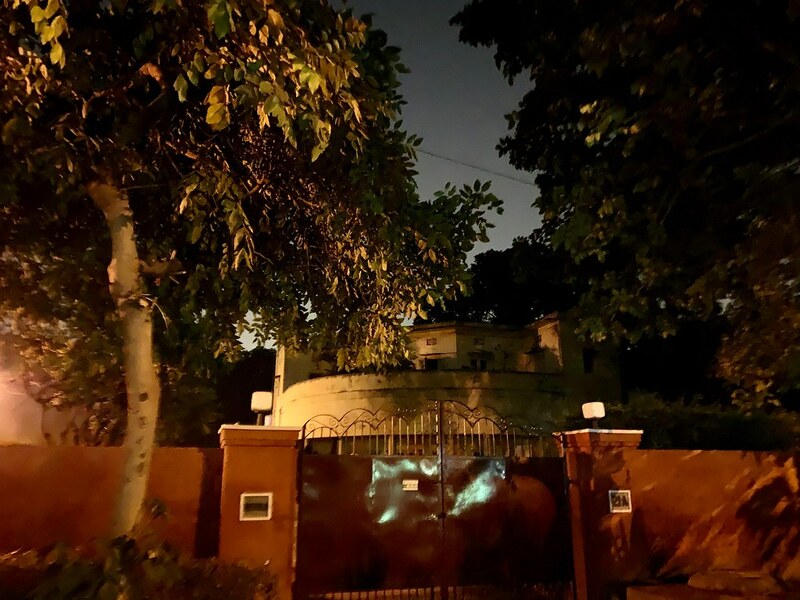 Fortified by hedges, guard cabins and boundary walls, each house is like a castle. Some of these drawing rooms might be decked with the works of Amrita Shergil, the celebrated painter after whom the neighbourhood is named. Over 100 Shergils are displayed in the nearby National Gallery of Modern Arts. But don’t limit your excursion to daytime alone. 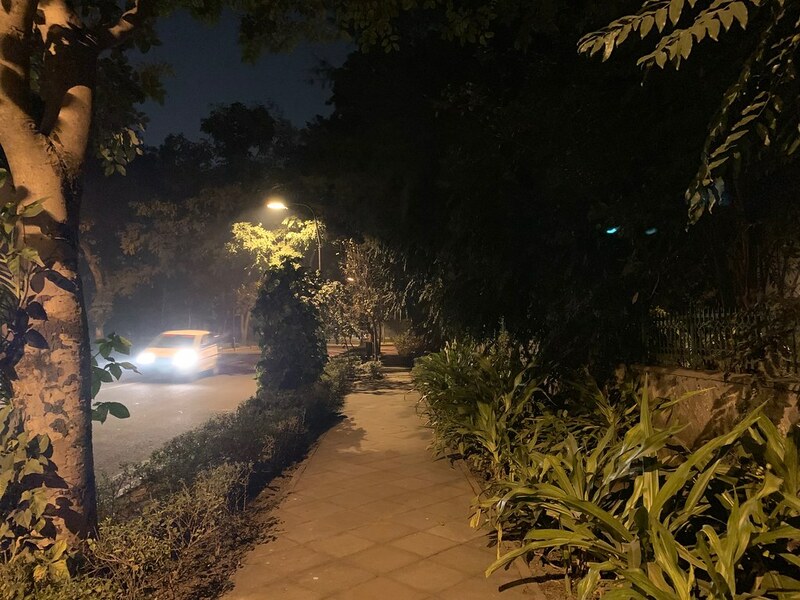 Walking across this road on moonlit nights makes for an incredibly lush sensory experience. 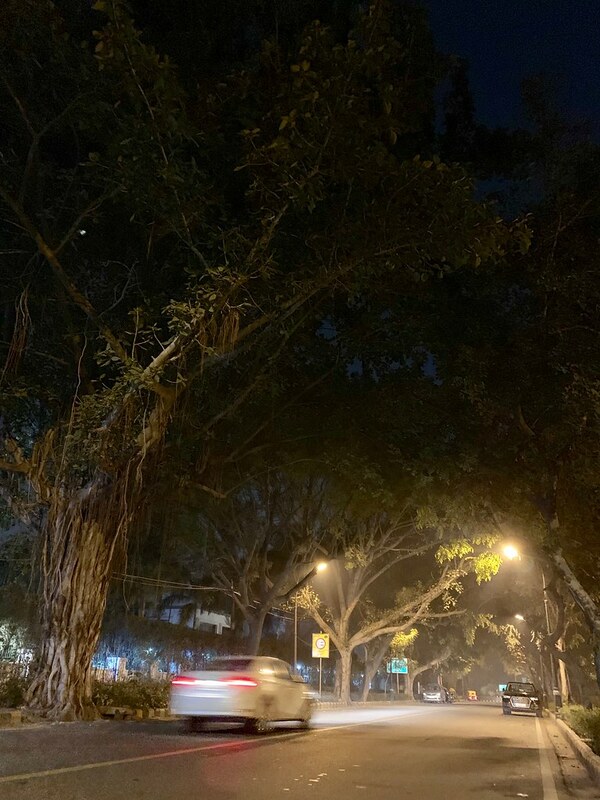 The air is suffused with the golden glow of sodium lamps and the road is carpeted with the trees’ shadows. It’s like wading through a dense forest. Although most houses are new, a few original structures survive. One of the bungalows that you can gaze upon from the road, without being snubbed by suspicious security guards, is the white-coloured mansion of Goa Sadan. Despite being adapted to the conveniences of a state-run enterprise, the bungalow retains a kind of household ambience. The abundance of Grecian columns, though, is slightly off-putting. Do look out for the traffic signboard outside bungalow 32. It’s like an artist’s working canvass with the shadows of the peepal leaves making delicate patterns on the board. The design changes as the sun moves across the smoggy sky. The peepal outside the residence of Denmark’s ambassador is particularly majestic. 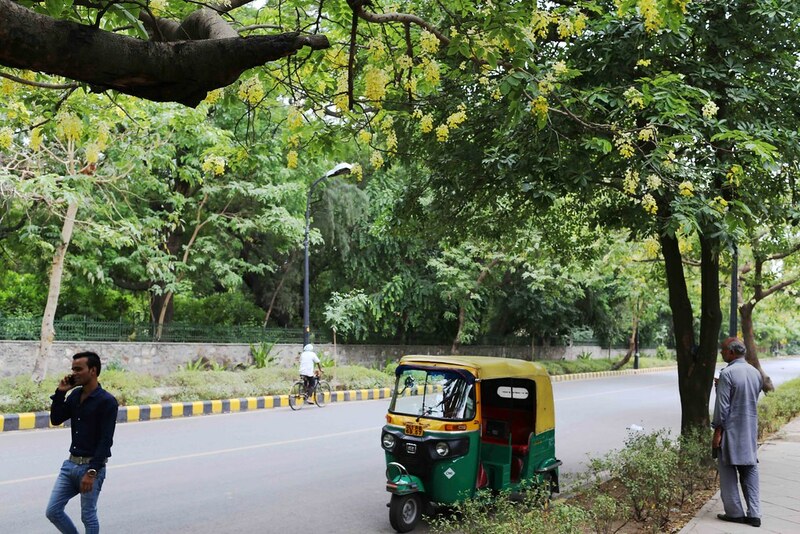 The avenue has many Amaltas trees that bloom a brilliant yellow in summer months. A small board outside house number 5 declares it as the registered office of the Leprosy Mission Trust India. 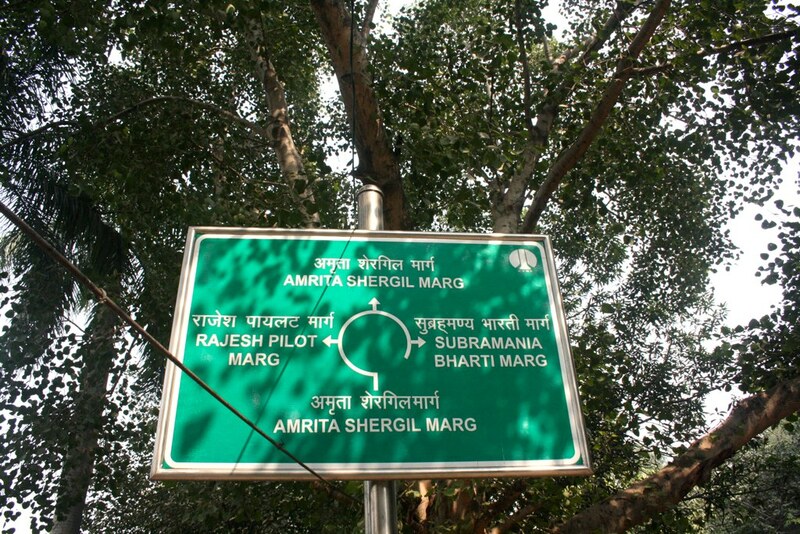 Amrita Shergil Marg is not a long stretch and it ends quickly into Lodhi Road, which is another bubble.